On 09 May 2018, National Oceanography Centre (NOC) scientists will set sail towards the Fram Strait, between Greenland and Svalbard, as part of the ARISE project, which will investigate the impact of warming on the Arctic food chain. 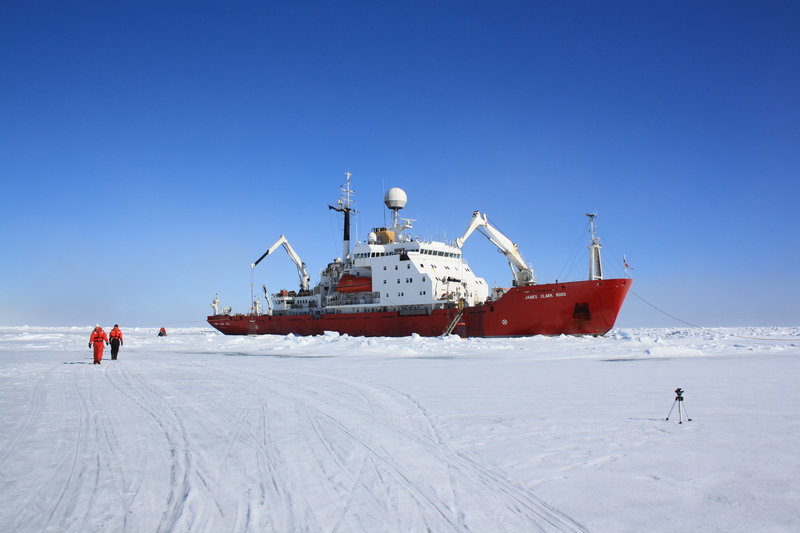 ARISE forms part of the £16 million, UK flagship Changing Arctic Ocean programme of Arctic research. With warmer winters across the polar region, the Arctic Ocean is now experiencing year-on-year record lows of sea ice. These changes are having an unprecedented impact on how the Arctic ecosystem operates. Changes to the lower part of the food chain are a serious concern because this is dominated by one type of zooplankton (copepods - small crustaceans the size of a rice grain). As fish and other species rely on zooplankton for their main source of food, the Arctic food chain is precarious in the face of climate change and susceptible to dynamic change. There will also be on-board scientists investigating how zooplankton are coping with a warming Arctic Ocean as part of the DIAPOD project. Scientists from both projects will collect zooplankton samples and examine them to check how healthy the animals are. The environments the zooplankton live in will also be investigated by sampling the water column for its chemical composition and by looking at seafloor sediments using a camera. Follow ARISE on twitter @project_ARISE or watch a video of Jo talking through the expedition ahead of its departure, click here.